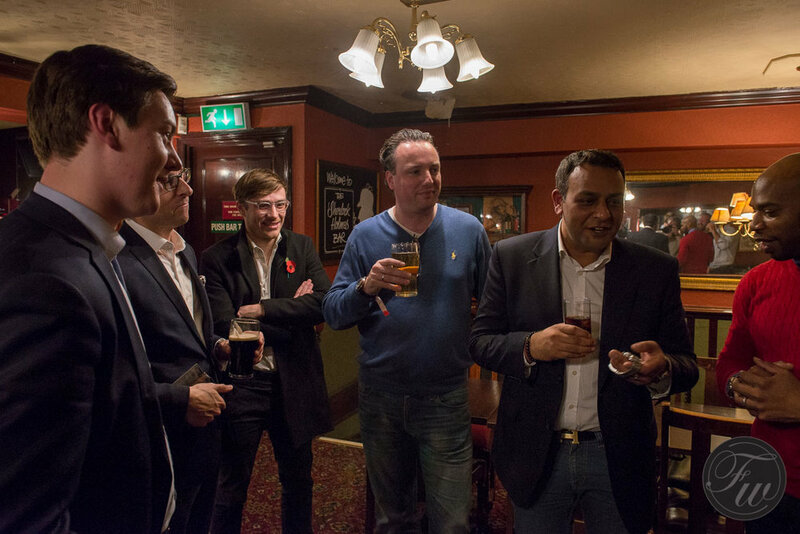 A little over a year ago I was fortunate enough to be in the right place at the right time and attended the Fratello Watches and Bexsonn Speedmaster Get Together held in London. It was a small event held on the upstairs floor of The Globe pub just across the street from Charing Cross Station and the slightly drunken cheers and laughs of the regulars echoed up the staircase; completely oblivious to the group of twenty five horological nerds above them squinting with relish at step dials and huddling in corners to get optimum light for wrist shots. Whilst people like Christopher Beccan (Bexsonn), Robert-Jan Broer (Fratello Watches) and Chase Fancher (Oak & Oscar) are very well known within the industry, I doubt the people downstairs would have given them a second glance walking upstairs and would have been shocked to learn exactly how much money in watch form was being passed around meer feet above their heads. During the course of general chit-chat I ended up talking with someone about the watches on display and I found out he went to school in Brighton, where at time I was living. We started talking about life on the coast and the vintage watch and jewelry hub of the city known as "The Laines". I initially believed that I'd met this man before however neither of us could think of a time that it would have ever been possible so I guess he just has "one of those faces". As our conversation turned from seaside living to watches it was clear that this guy knew his timepieces and I think I managed to bluff my way though the conversation without looking too foolish. The man in question was Toby Sutton, Watch Specialist at Watches of Knightsbridge, and over the last year I've covered their auctions picking my highlights and discussing them in more detail. Sometimes I pick winners, sometimes I don't but each time I've picked something that has excited and interested me. My highlights for the upcoming November 21st Auction will be published in a few days (Look out for some sneak peaks below! Brownie points for anyone who can guess the watches!) so I thought it prudent that I take the time to speak to Toby about his work and the vintage watch market. TC: If you could tell us a little bit about yourself Toby, how long you've been working at Watches of Knightsbridge, your experience with vintage watches etc? TS: Well I'm twenty eight years old and my interest in watches started when at eight years old my father gave me old watches to sell at weekend markets. He been a dealer since the age of twenty after being a professional down-hill skier and his father (My Grandfather) was an antiques dealer and purchased a shop on Portobello road in the 1970s which we still have today operating as an antiques arcade. My first real watch was a boy sized Rolex Oyster for my 13th birthday. After doing well at A levels I decided against going to university and started trading stock and bond futures shadowing a big trader in the city. After five years I took the plunge to quit the city and started Watches of Knightsbridge with my father. In five years the amount I have learnt on top of what I already knew is amazing as I've handled thousands of vintage watches, it is truly the best way to learn and I am lucky to work in the same field as my passion. 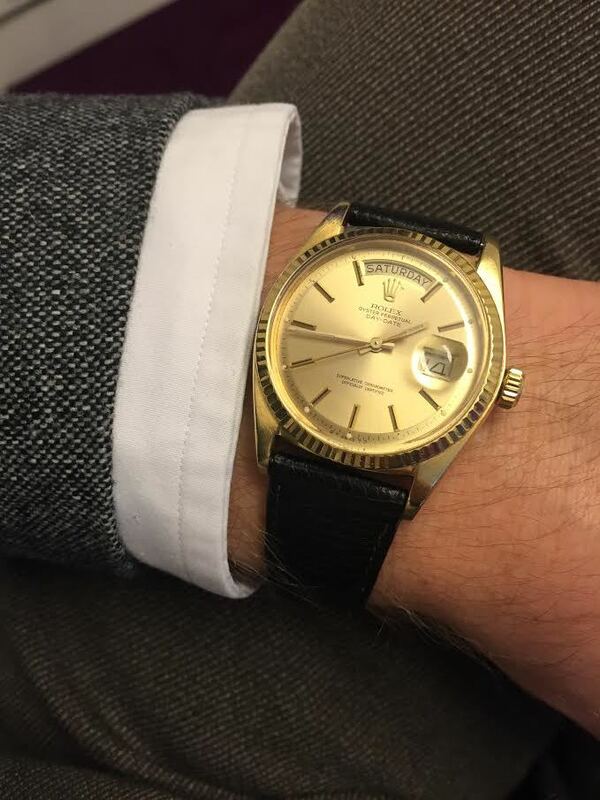 TC: What advice would you give to a first time buyer looking to purchase a watch at auction? TS: Go to a specialist auction house as general auctions are very much bidder beware. Try to speak to the experts to get their opinions and try not to catch "auction fever". TC: What do you think is the most important factor to consider when looking for vintage watches? Condition? Price? Providence? Or some mysterious X Factor? TS: It depends on the type of buyer, i.e. casual buyer or serious collector but for me it comes down to buying what you like and enjoying it. People often buy what they think they should be buying. Every vintage watch has a story and most of them you will never know about with collectors often saying " If Only this watch could talk!". TC: Other than a physical location, what separates a traditional auction house like Watches of Knightsbridge from online sites like eBay? Why should a prospective buyer go to you rather than buy online? TS: We like to specialize in sourcing rare and collectable watches of all price ranges, many of which you cannot find online or on eBay. We consign watches only of a certain quality and also give our expert opinions on originality which 99% of the time we get right. This gives the buyers confidence in what they are buying as it has been authenticated by us. TC: If you could change one thing about the vintage watch market/community, what would it be? TS: I think there is too much scaremongering at the moment. Fake/Franken and non-original watches are fairly easy to spot by experts and reputable dealers. Individuals who are new to vintage watches can be easily put off or scared away by these forums/articles highlighting obviously fake watches. You will not see or buy these watches from reputable dealers and auction houses most of the time so I think it's slightly unnecessary. I also wish some watch companies treated their vintage watches with more respect. Many of them do not want to get involved in servicing and authenticating their old models as they no longer have the old watchmakers working with the skills and knowledge (or records) and this knowledge wasn't passed down to the younger generation of watchmakers. It's a real shame and the prices they charge to service their old models is very difficult to understand with a service often costing more than the watch is worth. Not for sale. Toby's Rolex Day-date Ref. 1803 given to him by his Father. TC: Who do you think, for better or worse, is the most influential voice in the vintage watch industry right now? TS: Hodinkee, but there are others! 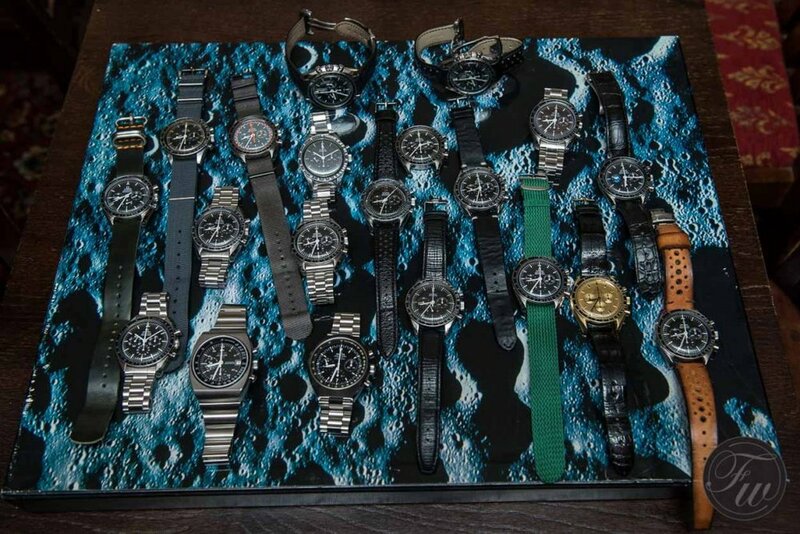 TC: What is your favorite watch that has been sold through Watches of Knightsbridge? TS: Possibly the Paul Newman Daytona Ref. 6262/6239 or the Honeycomb dial Explorer Ref. 6350 or the Vacheron and Constantin Chronograph Ref. 4178! It would take too long to decide which one! TC: Finally, what watch are you wearing right now? TS: I sold my collection to start Watches of Knightsbridge (one of the benefits of having a collection) barring this one watch my father gave me for my 21st birthday, a Rolex Day-Date Ref. 1803 on a leather strap. I'd like to thank Toby for taking the time to answer my questions. To see the full catalogue for the November 21st Auction then click here and to see the full photo report of the Fratello Watches Speedmaster GTG where Toby and I met, click here. The Bremont Supermarine S500 is the latest in a long line of dive watches. Seeing as I can’t dive, I took it fishing. When it comes to Christopher Ward, affordability is the name of the game and the C5 Malvern 595 is one of the most affordable thin watches I’ve seen. The Corum Golden Bridge Rectangle is a marvel of design and watchmaking. I can't afford it, but that doesn't stop it from being an astounding piece of horology. If you enjoyed this article and want weekly updates for everything published to Timepiece Chronicle then sign up to the newsletter below.